H&R RSS+ Coil Overs are the ultimate high performance suspension with features only found on race cars. RSS+ include MONO-TUBE shock design for precise control and externally adjustable shock damping. 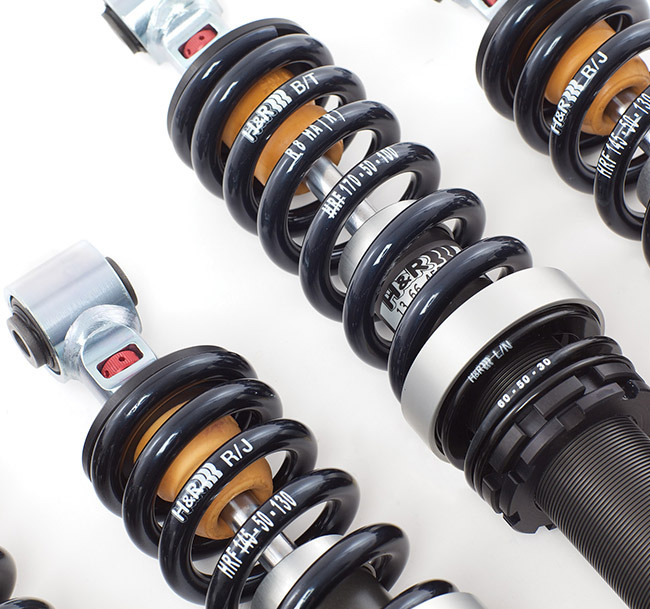 Some RSS+ Coil Overs feature high-tech light weight aluminum shock bodies that have a black hard anodized finish for beauty and corrosion resistance - H&R engineers have spared no expense developing RSS+. These beauties feature damping adjustment that simultaneously fine tunes rebound and compression damping for perfect balance and control.